Below are all rates for rooms and accessories as of May 30, 2018. * Hourly rates for the sanctuary apply only in July and August. All rentals require a signed rental agreement. Room Rental Application If you would like to rent one of our spaces, please fill out this form and email it to office@harcourtuc.ca. 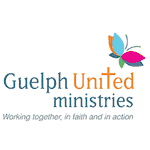 For more information please contact the church: office@harcourtuc.ca or phone 519-824-4177.